In a small bowl, whisk the olive oil with the lemon juice and harissa and season with salt and pepper. 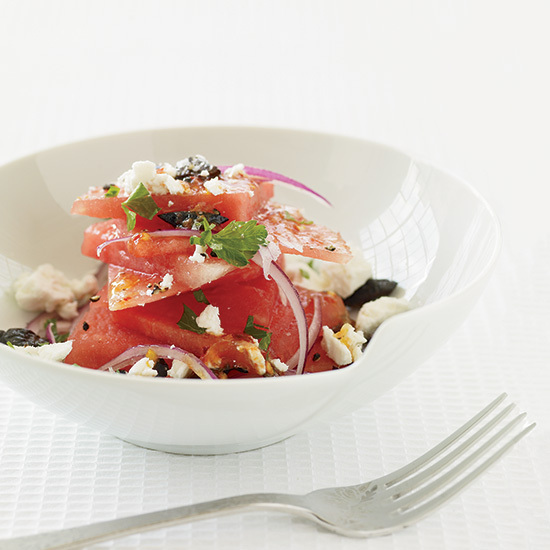 Arrange the watermelon slices on a platter and sprinkle with the onion, parsley, olives and feta. Drizzle the dressing on top and serve.